Local schools are great supporters! 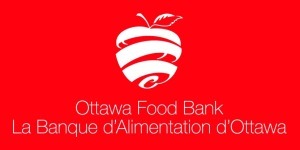 : Already this year, several schools have had food drives for the our Food Centre. Hopewell did two food drives this fall, and will be doing another in December, while both Glashan Public School and Glebe Montessori did wonderful food drives at Hallowe’en.More recently Elgin Public School did a marvellous food drive as part of World Hunger Week. We are grateful to the students and their parents for helping us stock our shelves and thus serve our clients better. Other schools are planning to do food drives in December before the holidays. We really appreciate this!